You can now make music with virtually anything thanks to this new gadget. In the past, creating music required extensive training and massive amounts of talent. Today, it’s easier than ever for people to start dropping their own beats with minimal effort on their end. Dadamachines is a new startup which is aiming to make music creation accessible to virtually anyone. To do this, they’ve created their flagship product, the Automat toolkit. It’s a plug & play MIDI controller and accessories kit that allows anyone to build music machines using the real-world as their instrument. It has 12 universal DC outputs, to connect motors, solenoids, LEDs, or whatever users want to start playing. There’s no coding or soldering required. Using the device, users can tap, move, and bang objects to make sound with the world around them. The Automat offers unlimited possibilities. 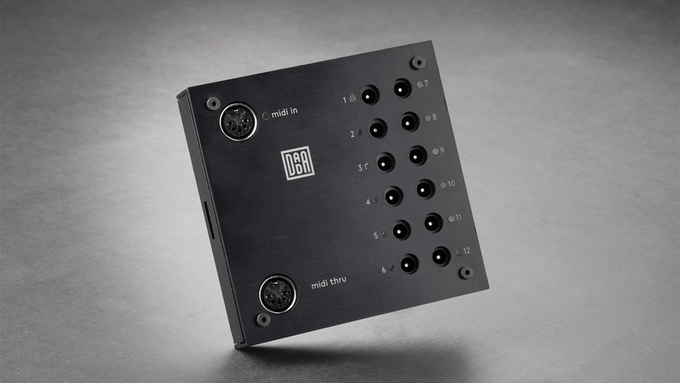 Users only need to connect their MIDI hardware device, music, Automat app, or DAW and trigger the actuators of their choice to create music. A few devices supported include MIDI hardware, the iPad, the iPhone, and computers. The Automat kit is made of an anodized aluminum panel, powder coated steel shell, and is 110mm x 110mm x 26mm. A few of the adapters include a solenoid motor, Lego adapter, materialdrum, little wingman, round object mount, and a mallet. Automat supports a variety of applications including Modstep, Elastic Drums, Patterning, Auxy Classic, and fugue machine. For professional producers, there’s also support for Live, Logic Pro, Cubase, Pro Tools, and Reason. More advanced users can hack Automat to fit their needs using the Firmata, Pure Data, or Max MSP. Users can connect their own circuits, extensions, sensors, or shields. Additionally, they’re able to code their own software using Arduino. The modular design makes it possible to extend the kit as desired. Additionally, upon completion, the automat toolkit will be open sourced. So far the makers of the Automat have raised over €111,000 via crowdfunding over their goal of €20,000 with an estimated shipping date of starting in September 2017. Pricing for the Automat controller starts at €169 while the Automat toolkit starts at €299. The small tool kit includes an Automat controller, 24v [2.5A] power supply, 3 solenoids, and three microphone stand adapters. The medium and large toolkits come with a 12-24V [6A] power supply, six or 12 solenoids, three microphone stand adapters, two Lego adapters, and three makerbeam adapters. The medium and large kits also include a materialdrum, little wingman, round object mount, and two mallets.